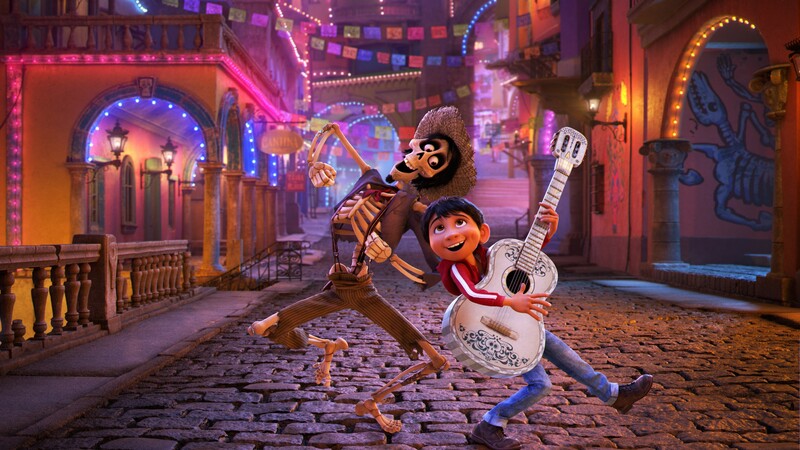 Since Coco was announced, which itself feels like many moons ago, there has been loads of anticipation for the film and the Dia de los Muertos story it promises audiences. In a recent article released by Entertainment Weekly, they revealed more about Hector, one of the supporting characters who’s going to take the film by storm. When Miguel accidentally enters the Land of the Dead, it’s Hector who helps guide him through the world. Hector is voiced by Mexican actor Gael García Bernal, and Coco is Gael’s first time doing voice over work for animation and even singing on film. He was initially drawn towards this project due to Pixar’s strong storytelling techniques and the fact they’re tackling such a huge Mexican tradition. Not only was the story a large part of Gael accepting the project, but he was also inspired by the character he was going to bring to life. Hector is unique to the previous roles that Gael is famous for, such as Rodrigo in Mozart in the Jungle and Julio in Y Tu Mamá También. From all of the trailers and the recent content that’s been released from Pixar, it’s obvious that Coco is going to have a strong focus on family, especially one’s ancestry and learning to appreciate where one has come from. We’re incredibly excited at Upcoming Pixar to be immersed in the music and culture that is just bursting through the images in all of the Coco designs. The film is set to premiere in cinemas this November 22nd. « Previous Story Brand new international Coco poster + trailer!